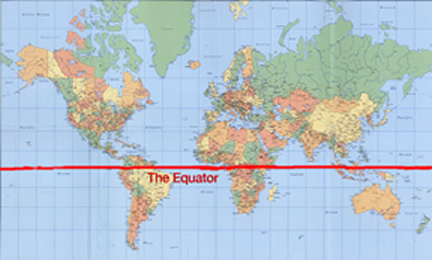 "There never was a bomb dropped in the Southern Hemisphere." With disbelief and faint hope she goes on to ask, "Why must it come to us? Can't anything be done to stop it?" The reply offers no solace: "It's mighty difficult to dodge what's carried on the wind.... You've got to take what's coming to you, and make the best of it." Advised that it's best to accept the inevitable, she responds furiously: "Why should we have to die because other countries nine or ten thousand miles away from us wanted to have a war?" Those questions are thrust by a 24-year-old woman in Melbourne, in 1963, as all of Australia anticipates radioactive fallout far above the lethal level. That deadly radioactivity has passed through the Equator and is spreading all across the Southern Hemisphere - past Durban and Cape Town, past Rio de Janeiro and Montevideo. It's a bit over year since the 1961 launching of several thousand nukes all across the Northern Hemisphere, in the terminal war for which no history would ever be written. This ultimate devastation was envisioned starkly by Nevil Shute in his realistically-haunting 1957 post-apocalyptic novel, On the Beach -- which was initially serialized as The Last Days on Earth. 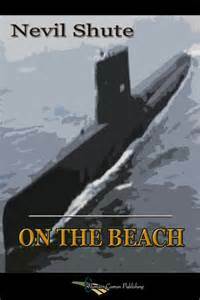 Getting past the submarine commander's resolutely-by-the-book and sometimes sappy moments (the latter jettisoned in the 1959 movie adaptation with Gregory Peck), I like to think that the novel might prompt a small crew of my students to venture to a library where they'd dust off and hoist oversized atlases. I'd like to think they would chart the submarine's initial probings out from Melbourne along the New South Wales coast (in the Tasman Sea) and then up along the Queensland coast (in the Coral Sea, sighting the Great Barrier Reef). Once the apprehensions of the novel's Australians are fixed geographically, students might go global, checking other latitudes and longitudes. They might register how the novel correlates the movement of radioactivity in South America to what was happening in South Africa. The submarine's second, and conclusive, mission is an exploration that suspensefully captures the imagination. The submarine's course is an initial long eastward run from Australia, then a dog-leg north. There are references to Monterey Bay, Half Moon Bay, San Francisco, Point Reyes, Fort Bragg, and the mouth of the Columbia River. The submarine's navigation into the Juan de Fuca Strait, and what transpires as it arrives at Edmonds, Washington, at Seattle, and on Santa Maria Island, should have students tracing the submarine's course and the novel's plot on an atlas page -- or a computer screen. 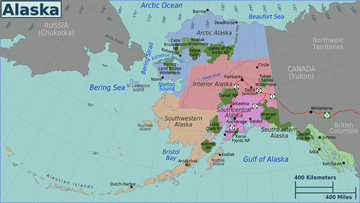 Out to sea, west of Vancouver Island, the submarine makes passage all the way out to Dutch Harbor in the Aleutian Islands, then east-northeast along the Alaska Peninsula passing east of Kodiak Island, dodging ice flows northward all through the Gulf of Alaska to latitude 60˚ North. The submarine returns to Australia after a brief periscope look at Pearl Harbor. Except for "a crane shackle squeaking on a wharf," the world above Australian latitudes is silent -- "gone out." There are no sea birds. Then, the wind-driven inevitable: Port Moresby, Papua New Guinea has "gone out." As Darwin and Cairns "go out" -- as Brisbane, Sydney, and Canberra "go out" -- there are musings about who will get it last: Auckland and then Christchurch in New Zealand; then Hobart, Tasmania; then the Falkland Islands, and, lastly, Tierra del Fuego. Perhaps some students will be put to wonder about life on Antarctica. What would be worth classroom time -- and dorm-room reflection -- is how one might spend his or her remaining days and hours. How does one -- if one can -- make the best of very, very bad situation? I can't pretend to fully appreciate the poem's historical and literary references, but I have some sense that World War I may have had some influence on the poet. But then I don't have a sense that such a connection would resonate with many students, for I gather that the First World War and the Second World War are not much taught in many American high schools. What does have currency - and massive commercial command - are battles fought in imaginary times, past and future, on screens large and small. The more graphic the better. There does seem to be box-office appetite for action-adventure thrillers in which apocalypse is threatened or being dealt with in the aftermath. The big-screen motion-picture industry has recently provided Avengers: Age of Ultron (all of humanity threatened by an artificial intelligence scepter), Jupiter Ascending (Earth threatened by extraterrestrial gene seekers), Mad Max: Fury Road (post-nuclear-war blood seekers), Robot Overlords (humanity held captive and threatened with extinction), Terminator Genisys (an apparently-extinguished humanity threatened by a time-machine weapon), Tomorrowland (androids and robots, and Earth without a future). Next year, Inferno (bioterrorism from Dan Brown: a geneticist engineers a sterilization plague to depopulate Earth). There are apocalypse classics such as The Andromeda Strain (deadly extraterrestrial biological infestation), Children of Men (humanity facing extinction due to global human infertility), The Matrix ("agents" hold humans in check by harvesting their bioelectricity), The Omega Man (biological warfare between China and Russia has wiped out most of the human race), Soylent Green (an overpopulated and polluted world's only remaining food source is reconstituted human beings), Dawn of the Dead (1979) and Zombieland (disease has created flesh-devouring zombies terrorizing what's left of human humankind). My apologies if I have misdescribed any of those devastations; there are so many. My apologies for having omitted many other end-of-life-as-we-know-it tales that surely have lively followings. Snowpiercer, The Road, Oblivion, and The Book of Eli, to name just a few, have their proponents. As fissionable material is being manufactured and passed around as if it were the stuff of a video game, several depictions of mushroom-cloud cataclysm seem especially compelling. Limiting the focus to distinctly nuclear catastrophes produced by East-West contentions that tip over the brink (by accident, miscalculation, misunderstanding, misapprehension, and madness) there are notable depictions: The Day After (1983, ABC), Threads (1984, BBC), and Stanley Kubrick's 1964 send-up, spoof, Dr. Strangelove or: How I Learned to Stop Worrying and Love the Bomb. 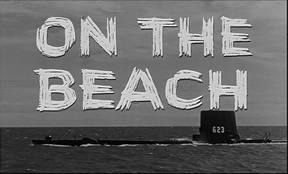 Those who will monitor, attempt to inspect and verify, the nuclear machinery of the Islamic Republic of Iran (and the Supreme Leader) might adjourn to view those three depictions along with the 1959 cinematic adaptation of On the Beach, and the 2000 made-for-TV movie version of the novel. Copies of Nevil Shute's novel should have been bedside reading in all the Vienna hotel rooms where negotiators retreated after a long day of discussions - equivocations and wishful thinking. City streets are "almost wholly innocent of motor vehicles." Necessary trips are made by push-bike or one-horsepower transportation, with bumpers of abandoned autos and long-since-drained petrol pumps serving as hitching posts. Eventually, all stores are closed, abandoned. Streets are filled with dirt, debris and repelling odors. People have to decide where, and how, to "go out." On the Beach details the "going out": everyone succumbs to cholera-like symptoms: everyone "sicks up" and is "giving at both ends." The vomiting, diarrhea, and bloody stools increase with intensity, leaving everyone depleted, utterly exhausted. Blood-forming tissues are destroyed. The body's defenses give out. The end comes from infection, leukemia, heart failure, or respiratory failure, or some combination of the above. In the fantasy realm of Jurassic World, a genetically-modified dinosaur called Indominus rex menaces with predatory rampages that may not be contained on Jurassic Island. In recent interviews, the film's director readily acknowledged that movie-goers expect a significant body count; want to see a high level of carnage. "It's almost a demand." Compared to Jarassic's crowd-pleasing "dino-kills," the apprehensions and resignations described in On the Beach may not be sufficiently vivid and riveting to be utterly alarming - even as there are no buffers, no decontamination sprays, no antidotes, and no heroes to thwart the oncoming nuclear radioactive predator. In addition to what is currently being hatched in North Korea and Iran, tensions in and about the Ukraine give the 1957 novel still more currency. Prophetically, Nevil Shute foresaw a war triggered by the Soviet Union's desire for a warm-water port (in addition to Odessa in the Ukraine of 1961). The USSR was keen to have Shanghai. Other countries, domains, sects, and factions took advantage of the chaos to settle old scores, or imagined ones; others pushed panic buttons. Somehow they had all acquired nukes for themselves. With contempt, the novel's cynical scientist explains, "The damn things got too cheap." And he goes on to rue that containment wasn't possible because of the identification and communication errors of "the little countries - the Irresponsibles." Wryly, a young Australian naval officer (who had been detailed to the U. S. submarine) laments, "That's a bit hard on all the rest of us." 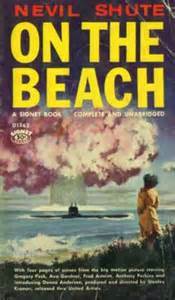 Through a periscope, and a wide-angle novelistic perspective, On the Beach has us see what's left of the world after a nuclear armageddon. Without the benefit of computer generated images or video-game hype, the ultimate cautionary tale unfolds hauntingly. The novel's message should spread across all longitudes so that nuclear machismo does not spread annihilation through all latitudes. As to the fallout from a nuclear weapon, none of us wants to be told, "It's mighty difficult to dodge what's carried on the wind.... You've got to take what's coming to you, and make the best of it." Dr. Strangelove theatrical release poster by Tomi Ungerer.